How to make sure you get the most coins possible out of Tap My Katamari, the latest Katamari mobile adventure. There haven't been enough Katamari releases in the last couple of years. The latest we've been graced with is Tap My Katamari, an iOS and Android clicker game that lay dormant for far too long before being unleashed unto the world. While it's true you'll spend most of your time tapping the screen, there are other things to keep in mind that'll ensure you get as many Cousins, items and Mojo as possible. All you need to do is essentially keep tapping the screen to keep your Katamari rolling along. 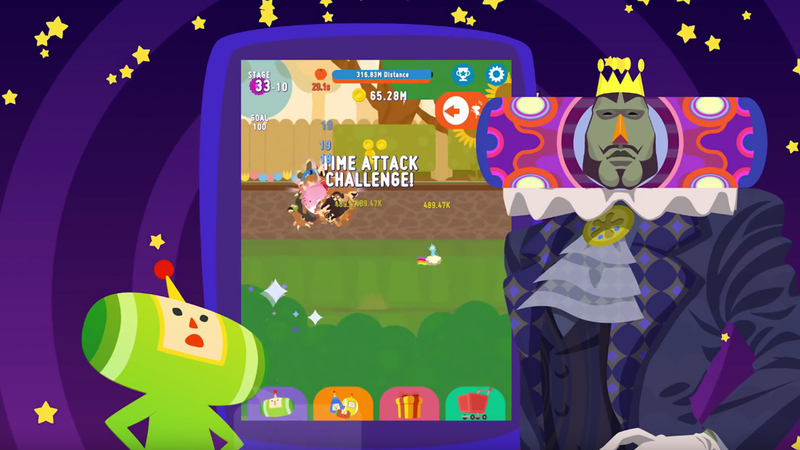 There aren't many things you'll have to keep up with, but you'll want to pay attention to the Prince icon on-screen, which lets you know how far the Katamari is moving per tap. Then there's the orange Cousin icon, which represents your Cousin power. You can also discern how many coins you'll get while you're away from the game. The other icon will show you a combination of both stats and awards a percentage-based bonus. Keep an eye on this one as you play because you're definitely going to be relying on it going forward. Your main priority will be to ensure you level up the Prince as soon as you can. Make sure you tap as much as possible to level up the Prince and get to the Garden area of the game, where you'll want to start earning more coins and buy more Cousins to keep things rolling along, so to speak. Buy Cousins as often as you can, as long as you're raking in the coins. You'll automatically earn them even when you're not playing, so if you ever have to stop and wait for them to stock up, just stop and come back after doing something else for an hour or two -- that's basically the same deal with the other free-to-play games out there anyway, right? Make sure you save as many coins as possible and spend them on new Cousins. Don't waste time leveling up Cousins in contrast to leveling up your Prince, though. Instead, just keep buying new ones. This should allow you to grow through all of the beginning stages of the game and get past the more slow and frustrating parts. After you've been cultivating more coins and Cousins, you should be able to head over to a submenu that features Coin Fever - you'll have to watch an ad in order to trigger it, but it'll give you double the coin production for four entire hours. That's a lot of coins if you play your cards right. You can even start it up again after it expires after four hours if you watch the video again. You can keep activating it over and over to earn as many coins as possible, in fact. And if you're ever given any other ads that promise in-game currency, make sure you're watching them.